When Brooklyn-born musician Lou Reed died on Long Island on Sunday, he left behind a city whose grit and grime inspired him to create music that influenced decades of successful musicians. These days, the Lower East Side crack dealers are more subtle and most of the prostitutes have been cleared from Times Square – but the scent of cigarette smoke hasn’t yet cleared and it is still impossible to go an entire day without hearing a car horn. I think one of the reasons I live in New York is cause I know my way around New York. I don’t know my way around Paris. I don’t know my way around Denver. I don’t know my way around Maui. I don’t know my way around Toronto … it’s almost by default. I don’t know very many people in New York who don’t also say ‘I’m leaving.’ I’ve been thinking of leaving for 35 years now, I’m almost ready. When Lou Reed met John Cale, a fellow founding member of The Velvet Underground, Cale was living in this apartment on Ludlow Street in New York’s Lower East Side. Victor Bockris, who wrote a biography of Reed, described the space as a “bohemian slum dwelling”. This dwelling is where Reed, Cale and Sterling Morrison rehearsed and recorded six songs in 1965, creating the foundation of their first album The Velvet Underground and Nico. When we rehearsed, we weren’t too loud. We only had acoustic instruments and the most basic amps. We stole electricity from other apartments, so wires snaked all over the place. Besides, the people downstairs were always blasting music on the radio, so no one in the building heard us or complained. 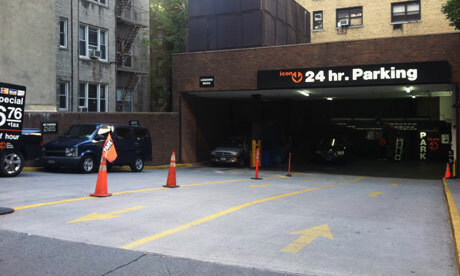 That space is now a parking lot in the well-groomed Midtown district of Manhattan which is almost always vacant by 10pm, any night of the week. A large group of people were gathered outside the area on Monday, enveloped in the meaty scent of what seems to be the neighborhood’s most popular food cart. 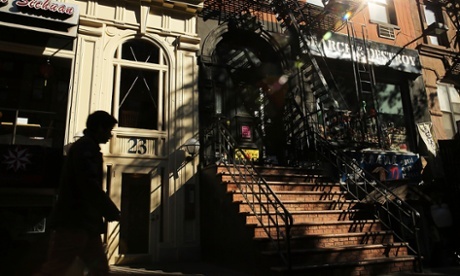 The East Village bar and club Dom played host to the early stages of Andy Warhol’s mixed media show with The Velvet Underground and Nico – Exploding Plastic Inevitable. This cavalcade of rock music, avant-garde film and dancing started at this nightclub in April 1966 and eventually toured throughout the US. This is where Reed waited to buy heroin from a man and I watched a disgruntled person overturn a garbage can. The neighborhood gentrified considerably since I’m Waiting for the Man appeared on The Velvet Underground’s 1967 debut – but this corner maintains the trademark New York grit evinced in Reed’s music. On any given day, a person may have to step over a flattened rat carcass to cross 125th Street and get a $1 slice of pizza or hotdog across the street. This historic hotel inspired Reed and Sterling Morrison’s song Chelsea Girls, sung by Nico on her 1967 debut album. It’s serving as the city’s defacto memorial for Reed – with flowers and lit candles at the doorway, below the plaques honoring the hotel’s famous guests, including Leonard Cohen and Dylan Thomas. Janis Joplin, Patti Smith and Iggy Pop have also spent time in the 250-unit hotel, which is now a registered New York City landmark. Some of their tales were published by Vanity Fair this month. Chelsea Hotel was purchased by a real estate developer in May 2011 and stopped taking reservations in August of that year. It’s been mired in lawsuits, management restructuring and renovations ever since.